That Morrison now describes Muslims he has spent eight years destroying as our "family" should arouse in us a visceral horror, writes Dr Jennifer Wilson. THE ABOVE is an extract from Prime Minister Scott Morrison's statement on the massacre of 50 Muslims in Christchurch on Friday, 15 March 2019. The Prime Minister's words were regarded by commentators such as Patricia Karvelas and Craig Emerson as strong, statesmanlike and appropriate for the horrific nature of the occasion. There is little argument to be made against this view. Morrison did say exactly what needed to be said. However, the statement also provoked vigorous expressions of outrage from many on social media - the majority pointing out Morrison's hypocrisy on this subject. There is little argument to be made against those views either. At a Shadow Cabinet meeting in December 2010, Morrison urged his colleagues to capitalise on the electorate's growing concerns about "Muslim immigration," "Muslims in Australia" and the "inability" of Muslim migrants to integrate. In 2012, Morrison issued a press statement claiming that "diseased" waterborne asylum seekers - some of whom were Muslim - were putting the health of Australians at risk. His claims were later debunked by Immigration Department officials. From his time in opposition to the present day, Morrison has unfailingly continued his demonisation of Muslims, particularly those who arrived here by boat seeking asylum from countries such as Afghanistan, Iran and Sri Lanka. Those who were - and in some cases still are - held in indefinite off-shore detention on Manus and Nauru. 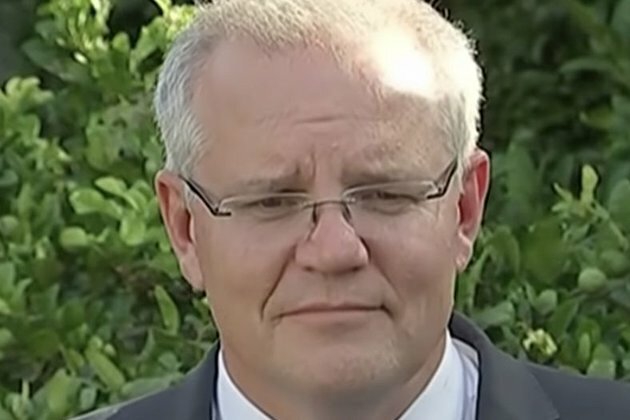 In the light of last week's Christchurch massacre, perpetrated by a white Australian male from Northern NSW, Morrison's comments can only be read with savage and bitter irony. In February this year, Morrison reopened the Christmas Island Detention Centre in an effort to prevent refugees held on Manus and Nauru - many of whom are Muslim - from coming to the Australian mainland for urgent medical treatment. It appears that the Christchurch massacre of 50 Muslims, including small children, in their places of worship, has prompted a staggering change of heart in Morrison. Suddenly, after eight years of demonisation for political gain, Muslims are our "cousins". They are "New Zealanders" and we are outraged and appalled at this slaughter of our family members by a home-grown Australian terrorist. Prime Minister Morrison is going to have to explain to Australians the difference between the Muslims who are our family in New Zealand and the Muslims he attacks as "vile" and lackadaisical protectors of radical Islamic terrorists resident in our country. He is going to have to explain the difference between the Muslims who are our cousins in New Zealand and the Muslims he prohibits from receiving medical treatment on the mainland because they are "rapists", "paedophiles" and "murderers". Morrison's history in federal politics is one of seamless and blatantly racist exploitation of Muslims and other waterborne asylum seekers for political gain. Yes, his statement on the Christchurch massacre was word perfect. But what we should find staggering is not its "statesmanlike" perfection but its breathtaking opportunism. Morrison's ability to switch roles whenever the occasion demands should deeply alarm us, not fill us with admiration. That in this moment of awful loss and grief, and incomprehensible tragedy, Morrison describes Muslims he has spent eight years destroying as our "family" should arouse in us a visceral horror at the spectacle of such blatant hypocrisy from the country's leader. Muslims are only "family" when Morrison believes that political advantage is to be gained from describing them as such. The rest of the time Muslims are weapons employed by Scott Morrison and the Coalition Government to divide communities, incite hatred and fear, and win votes from One Nation.